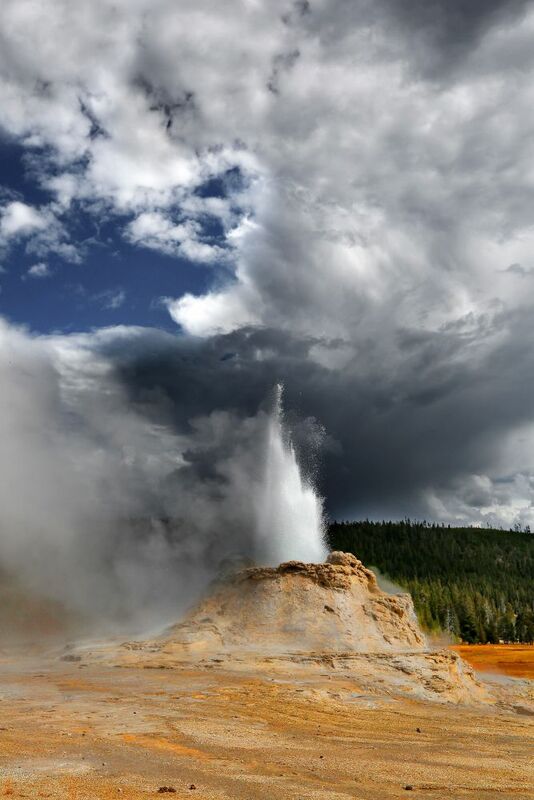 Castle Geyser Yellowstone National Park is another predictable geyser, which erupts roughly every 9 to 11 hours. We were passing it on our walk around the Upper Geyser Basin and noticed that it was due to erupt in about 5 mins so we took a seat on one of the benches to wait despite the fast approaching storm. The storm soon came and we had to run for cover but were able to watch Old Faithful going off again from the safety of the Visitor Centre where they have a huge picture window.